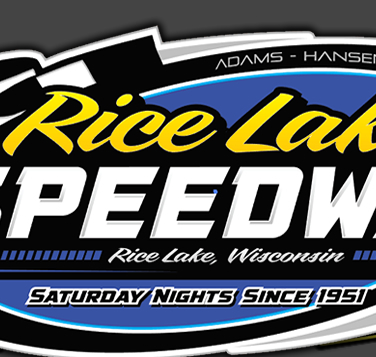 RICE LAKE, WI (July 25) - Race fans at the Rice Lake Speedway were treated to a fantastic UMSS Traditional sprint car 25 lap feature race on Saturday night, as the series completed its triple header weekend with three different winners. A Battle Royal waged for 25 laps which featured NINE lead changes amongst three drivers! Coming off turn 4 on the final lap, Rob Caho, Jr. got by Jake Kouba for the victory. Mike Mueller also snuck under Jake for the runner-up spot at the finish line. For current point leader and two-time series champion Caho, it was his fifth win of the season and 25th career Traditional sprint triumph. Following a complete restart for the first caution, the feature race went 21 laps under green before the second yellow flew. During that time, rookie driver James Giossi and Jake Kouba, in his second season behind the wheel of a non-winged sprint car, swapped the lead back-and-forth on six occasions officially with Caho a close third. During the final four lap dash to the checkers, Caho led lap 22, Jake Kouba got back by for laps 23-24 before Caho made the winning move on the final lap. Mueller came from fourth to second during that time as well. It just doesn't get much better than that race fans! Commenting after his victory, Caho talked about the great race up front. "I didn't really have a lane for the longest time, so I waited patiently and watched Jake and James battle for the lead. After that caution with four laps to go, my car was working very well down low and the opportunity presented itself, so I joined the battle for the lead. It was a great race, and I'm really happy to win it for my crew and the race fans here at Rice Lake on the last lap. That was fun!" Runner-up Mike Mueller also talked about how racy the track was and how much fun he was having out there racing early on with Jeremy Kerzman and then late in the race his car really got going after that restart and he joined the battle for the lead. Jake Kouba was hoping that late caution did not appear, but he was really happy with how his car performed and being right there battling for the win all race long. Mueller and Caho topped the two heat races. The top four cars in passing and finishing points redrew for the feature, and it was Jake Kouba and Giossi on the front row with Mueller and Caho in row two. Although one lap had been completed when Blake Anderson stopped in turn one, official scoring was not able to record all positions on that opening lap so a complete restart was in order. Giossi edged past Jake Kouba to lead lap one and the battle was on! After 21 laps of tremendous racing up front for the lead between those two young guns, Mike Walters spun in turn 4 to set the stage for a thrilling four lap sprint to the checkers. The outcome was in doubt until the final corner on the final lap. Finishing behind Caho and Mueller was Jake Kouba, Giossi and Jimmy Kouba. Rounding out the top ten was Kevin Bradwell, Kerzman, Neal Matuska, Chase Viebrock and making his Traditional sprint debut from the micro sprint division, Ty Sampair. The top ten cars were all on the lead lap at the conclusion of the main event. 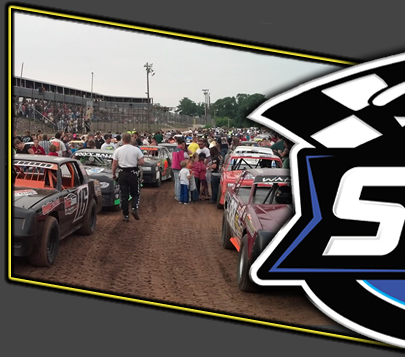 Racing action continues for the Traditional sprints on Friday July 31 at their home track, St. Croix Valley Raceway. 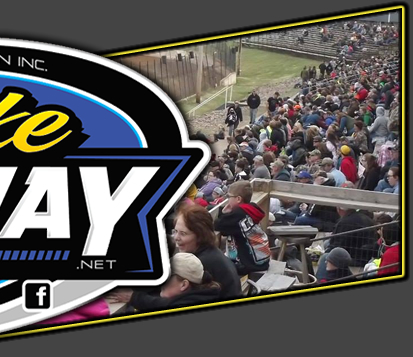 Then it's up to the Granite City Speedway on Sunday August 2, as they join with the winged sprints for a big double division show. Race fans will certainly want to come out and watch this very competitive group of wingless warriors, as they have continued to put on impressive shows on many race nights during the 2015 season. Lap Leaders: Giossi 1, Jake Kouba 2-9, Giossi 10-13, Jake Kouba 14-16, Giossi 17, Jake Kouba 18-21, Caho 22, Jake Kouba 23-24, Caho 25. Cautions: (2) Yellow on opening lap and again with 21 laps in. OUTSTANDING RACE! Lap Leaders: Kerzman 1-7, Mueller 8-10. No cautions. Lap Leader: Caho 1-10. No cautions.